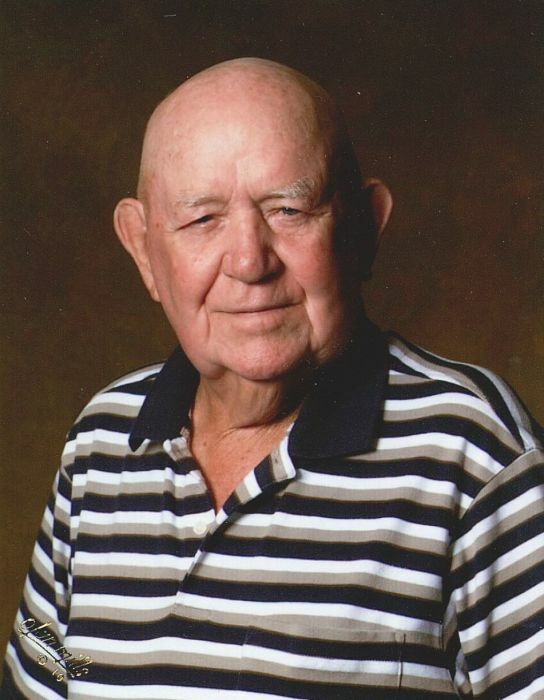 Visitation services for Garnell Sims, 89, of Edgewood, are scheduled for Monday, April 15, 2019, at Hiett’s LyBrand Funeral Home in Edgewood. Garnell passed away March 29, 2019, at his home. Charles Garnell Sims was born May 5, 1929, to the late Wylie Carl Sims and Bertha May Clemmons Sims. He was raised in Edgewood, graduating with a class of 9 people from Edgewood High School and then served his country in the United States Army. Garnell married Sylvia Jo Jackson on August 28, 1953, and they remained in Edgewood until moving to Mesquite in 1959. Garnell was employed with Ford Motor Assembly, welding truck beds until 1977. He was then employed with Southern Methodist University as a campus police office for twenty five years. He was a charter member of Edgemont Park First Baptist Church in Mesquite and a proud member of First Baptist Church in Edgewood. After retirement, he and Sylvia moved to their hometown of Edgewood to live in the peace and quiet of the country. Garnell lived a full life of passions including, sharing his home grown vegetables, traveling the country, dominoes, enjoying the company of life-long friends, and spending time with the grandchildren. Garnell is preceded in death by his parents, wife, Sylvia Jo Sims; brothers, Jake Sims, Kenneth Sims and wife Betty Sims; and sister, Jeanette McCord. He is survived by his son, Garland Sims of Edgewood; daughter, Kendra Docktor and husband, John of Bedford, TX; brother, Billy Ray Sims and wife, Loretta of Edgewood; sister-in-law, Durene Sims of Edgewood; brother-in-law, James Jackson of North Carolina; grandson, Ryan Sims and wife Ashley of Edgewood; granddaughter, Courtney Easley and husband, Brian of Canton; grandson, Dustin Docktor of Bedford, TX; six great grandchildren, numerous nieces, nephews and a host of friends. In lieu of flowers for the family, it is requested that donations be sent to charity of your choice.